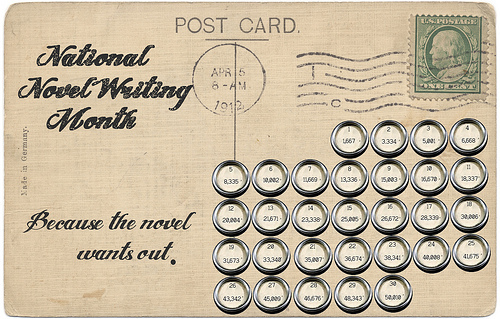 This is the last post of my series on National Novel Writing Month (NaNo). My first post this month was a NaNo primer while my second was a more personal post about my past NaNo experiences. I then talked about pantsing vs. planning a novel and last week, I wrote about the drawbacks of NaNo. My last post goes back to a more personal reflection of how NaNo went for me this year. I had a bit of a chaotic NaNo this year both personally and professionally. I decided to participate in NaNo this year at the last minute (about 3 weeks before November 1). Still, I had some time to do some planning for the novel that I wanted to do. As I mentioned in last week’s post, NaNo has always been a very fruitful platform for me to experiment with different genres and techniques. I have been writing historical mysteries but I wanted to try my hand at writing a historical novel with a women’s fiction twist to it. This was a challenge for me to plan, as even though the historical element of fiction has always interested me, building a story that doesn’t have a very distinct direction (like a mystery, which is pretty much a map of a search for who committed a crime and why) was something I hadn’t done in a while. Still, I managed to get most of the blueprint of the story down. This was also the first year that I decided to focus more on the story rather than the characters and let the characters develop as I wrote the book. The image above has all the elements of a gothic novel, including a creepy old house, an innocent damsel and a precarious villain. 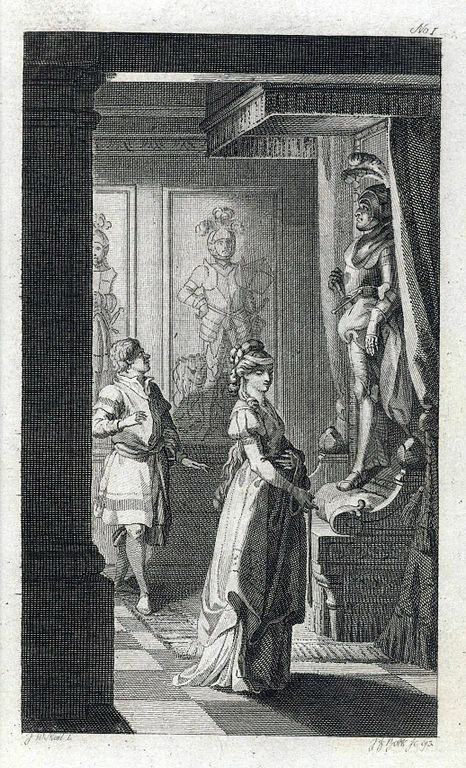 Despite having a plan and feeling good about the project I had chosen, I was also playing around with an idea for a historical novel with gothic elements. I had a chance to write up a skeletal outline for that novel as well but decided to see how things went as November progressed. From a personal standpoint, NaNo started out on shaky ground. While I was motivated to write the first novel, I developed seasonal allergies for the first time in my life which sent me to the doctor for the first time in a long time. After a prescription for nasal spray and a steady supply of Advil, I started to feel better, but then migraine headaches began taking over and I had days where I wasn’t able to do much more than curl up in bed with the blinds down. I also found myself losing steam around the middle of the month with my first novel idea. This isn’t uncommon with NaNo, since you’re rushing through writing the novel without much time in between to think about how the story is going to go. Even with an outline, I found myself feeling like I was just writing words without meaning, kind of like eating without tasting. So I decided to put it aside and begin my second novel idea. I worked a few days on that and then the Paris attacks happened. I was as devastated as many other people and the morning after I heard about them, I woke up quite depressed. It seemed like the world was just getting crueler, more nonsensical, and more insane. I started to think about what was important to me and how I had been raised to see the world through black-colored glasses as opposed to rose-colored glasses. My parents are both very critical and pessimistic people and they taught me to see the negative in everything. It’s something I’ve been working on for a while, trying to accentuate the positive in life and not to fall into the dark hole of seeing the world as a cruel and violent place. 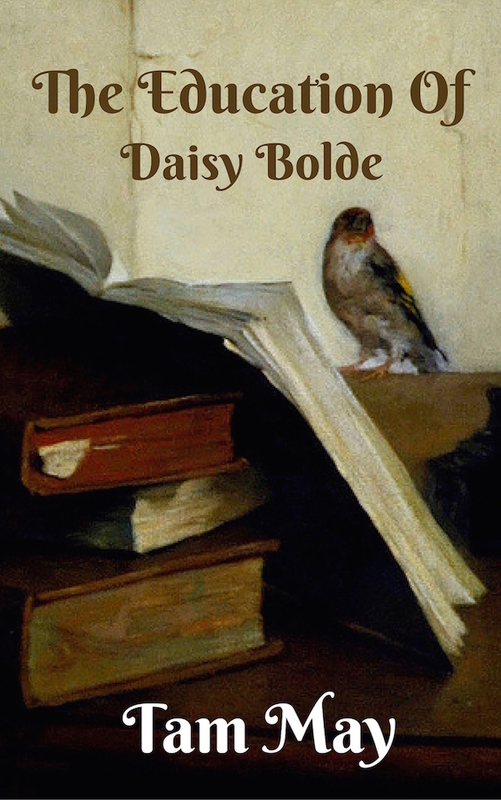 The cover for my NaNo 2015 novel, The Education Of Daisy Bolde. To that end, I also started to think about the kind of fiction I love to read and that I want to write. Fiction of strength, fiction that, unlike the real world, has a sense of justice, where people meet adversity head-on and even if they don’t come out on top, they learn something in the bargain. I felt that my first novel was really what I wanted to write so I went back to it. I’m writing this with about a week left to go with NaNo. As to the burning question, will I win NaNo (and winning here means reaching the 50,000 word goal), the answer is, probably not. So you might ask, why bother pushing through to the 30th? For me, NaNo got me back into writer mode. For several months prior to November, I was in revision mode, trying to get the first book of my historical mystery series The Pink Rose Murder polished and ready to send out to beta readers. While I love revision, I was missing the excitement and dynamics of creating a fresh story. So that’s worth much more to me than finishing 50,000 words. Update 11/30/15: Despite having had health issues this month, I managed to finish NaNo for the first time in the 4 times that I’ve done it!